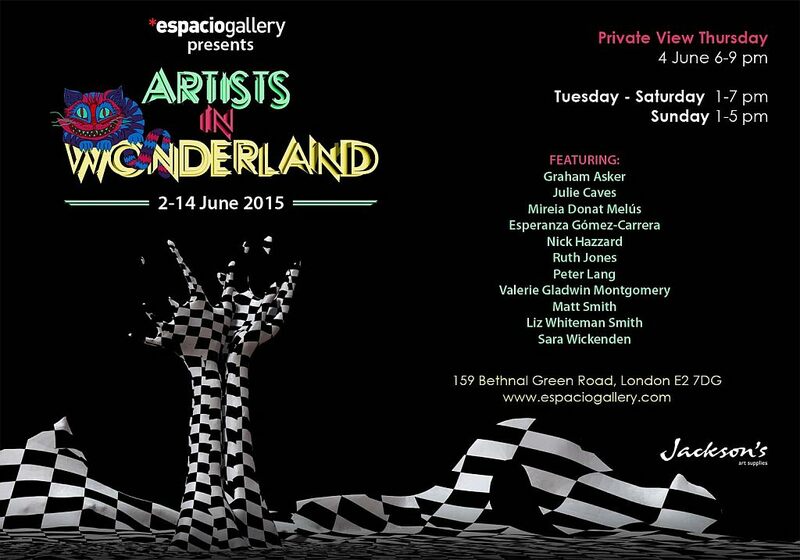 Artists in Wonderland commemorates the 150th anniversary of the first publication of Alice in Wonderland. The exhibition reveals the artists’ distinctive interpretations of the classic children’s stories. From tiny details through to sweeping concepts, each artist brings you their own unique insight into the world of Lewis Carroll: here visitors can enjoy a range of exhibits from an interactive, mechanical sculpture, bespoke hats through to imaginative character portraits. 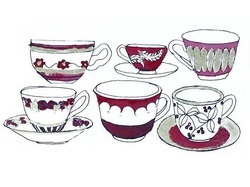 The exhibition includes tea parties and talks for visitors. The subjects and styles are wonderfully diverse. 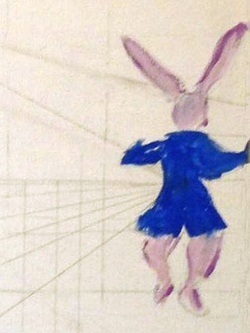 The artists’ reactions to the Alice theme have resulted in a unique, thoughtful and challenging body of work. The exhibition brings together a wealth of complementary artwork and opens up a dynamic and intimate dialogue with you, the viewer. 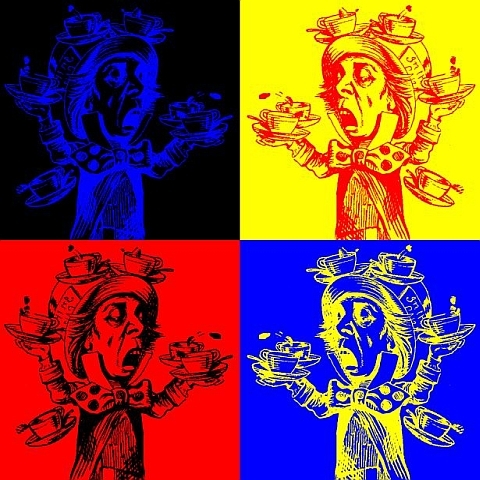 The Alice stories have inspired a wealth of artistic responses. 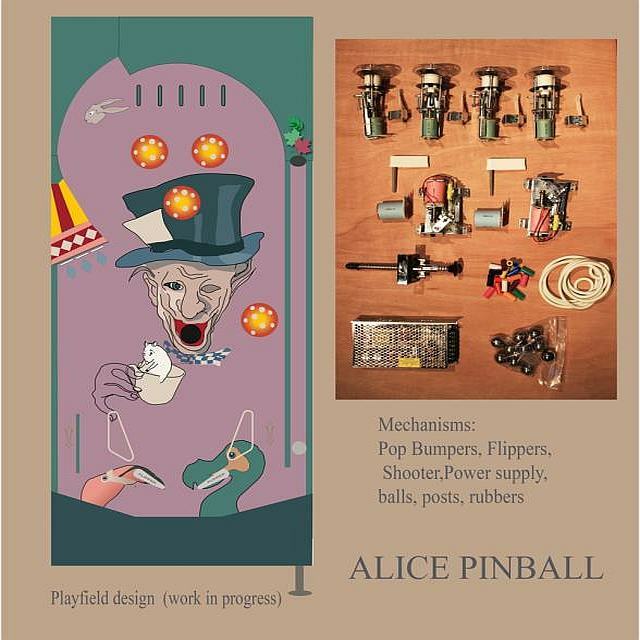 Here you can try Graham Asker’s intriguing Alice themed pinball machine and explore Esperanza Gómez-Carrera’s expressive visual psychoanalysis of the stories. Meanwhile Ruth Jones repurposes Victorian furniture into Wonderland pieces with hidden treasures waiting to be discovered and illuminates the characters of the novels with exquisite drawings. Julie Caves takes her cue from elements of childhood found in the books creating an engaging millinery installation alongside her colourful paintings. Sara Wickenden’s haunting mixed media paintings are inspired by some of the scientific concepts from the novels, which complement Matt Smith’s exciting interpretation of the fearsome Jabberwock which draws on geology, palaeontology and current research into dinosaurs. 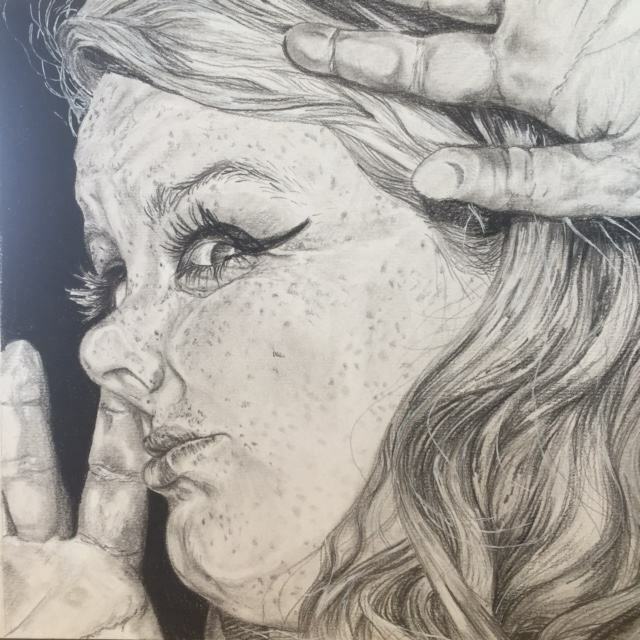 The subjects and styles are wonderfully diverse. Nick Hazzard explores the surreal qualities of Alice’s forays into Wonderland, drawing parallels with the transition of child to adult in his thoughtful abstract paintings. Mireia Donat Melús has crafted an organic, fibre based sculpture inspired by the hookah- smoking caterpillar, which explores the estrangement of what can appear to be a nebulous yet ominous object. 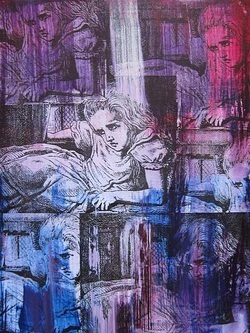 Valerie Gladwin Montgomery’s artwork investigates the character of Alice and female social culture within the world of Wonderland. 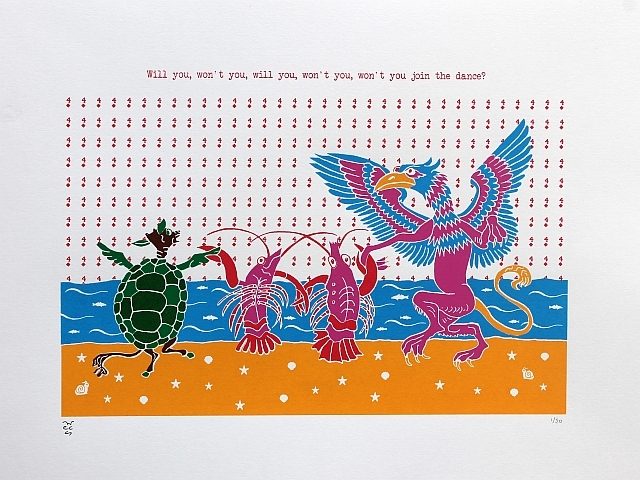 Playful interpretations of the novels are also explored: Liz Whiteman Smith has created detailed quirky screen prints of the fascinating characters found in the books. Meanwhile the folding teacups and 64-part chessboard themed painting by Peter Lang draws the viewer into the wonder of Wonderland. 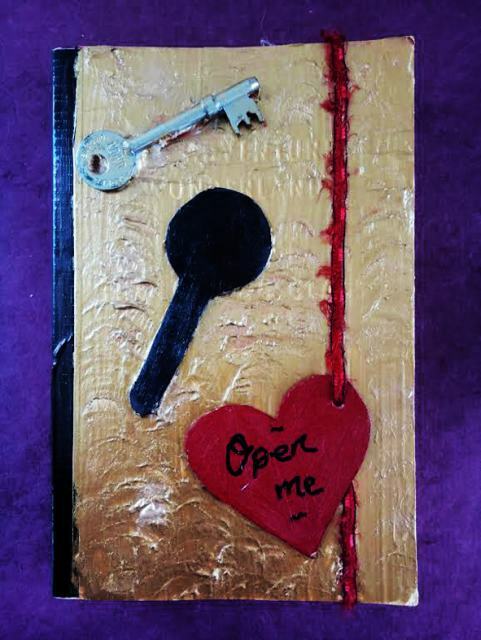 Please join in by visiting Artists in Wonderland. As with other Espacio exhibitions, the artists are actively involved and you will be able to discuss the works with several present at the gallery each day.